Mr.Murugan (M.G.R) is an Indian scientist who has recently discovered how to store a part of the energy unleashed from lightning. He announces this during a Hong Kong Scientists’ Conferencem though he says that he will not reveal his discovery since the world is at the brink of World War III and his research may be used for destructive purposes. Scientist Mr. Bairavan denounces Murugan that he is merely showing off without having conducted any concrete research. So, Murugan demonstrates his new stored energy and destroys the vital research notes, an act which upsets the other scientists. Murugan then departs with his girlfriend Vimala for a world tour. He tells Vimala that he actually pretended to destroy the research notes and he has kept the notes in a safe place. He is willing to use them and conduct further research so that it can be used for productive purposes. Bairavan who has been following them hears this and follows them wherever they go. Bairavan wants the research notes so that he can sell them to some countries for a hefty sum. Singapore. A view of Keppel Harbour and Sentosa as shot from Mount Faber. Keppel Harbour in 1972/73, before the World Trade Centre (now HarbourFront) and the Cable Car Tower were built. Sentosa Island (or Pulau Blakang Mati) before the development of major tourist attractions. Two of the colonial era buildings sit atop the hill on the island. They were built by the British between the 1880s to 1930s to accommodate the garrisons for the coastal defence of the island and the harbour. 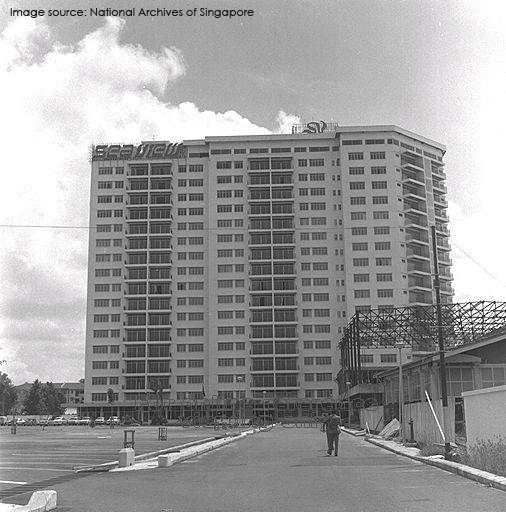 Now the conserved buildings house hotels and attractions such as the “Images of Singapore“, Moevenpick Heritage Hotel, and Capella Hotel. Aerial views of the city from a restaurant in a skyscraper hotel. My guess is that the location is the Paramount Hotel along East Coast Road (now East Village Hotel; but currently closed due to a recent fire breakout). The lower left film-still shows the reclaimed land off the East Coast of Singapore. 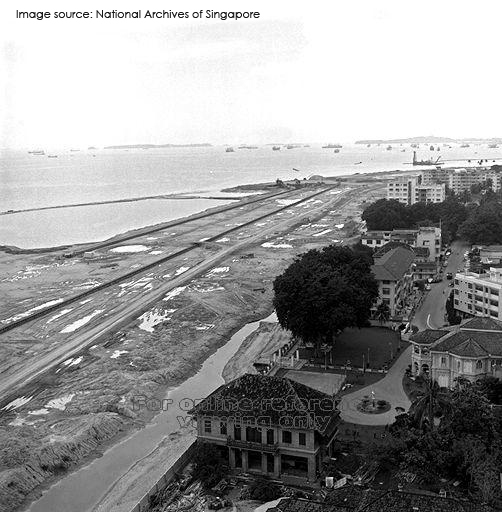 (Updated on 12 May 2013) From the National Archives PICAS website: A view from the top-floor restaurant in Sea View Hotel, of the reclamation area at Katong on the east coast of Singapore. 1969. (Updated on 12 May 2013) From the National Archives’ PICAS website: Sea View Hotel at Amber Close. 1970. It was in business between 1969 and 2003. A new condominium sits on the former site of the Sea View Hotel now. Immediately preceding the shots of the “restaurant in the sky” in the last set of film-stills, M.G.R. and a female actress were filmed entering what looked to be hotel lobby and there they ask to meet a person at the reception. Notice the “key box” in the lower right film-still. This could be the hotel lobby of the former Paramount Hotel in 1972/73. One of the most popular tourist destinations in Singapore during the 1970s — Tiger Balm Garden, otherwise known as Haw Par Villa (虎豹别墅). There is a five-minute segment in the film that is set in the Tiger Balm Garden, with M.G.R. leading a group of children (from various races) to sing and dance to the song “Sirithu Vaazhavendum” (literal translation: “Should Be Laughing”). Chinese mythological park, statues of Chinese deities and mythic characters, Tamil song and film, Indian actors, Bollywood-style dancing, multi-racial make-up of the children. What a melting pot. 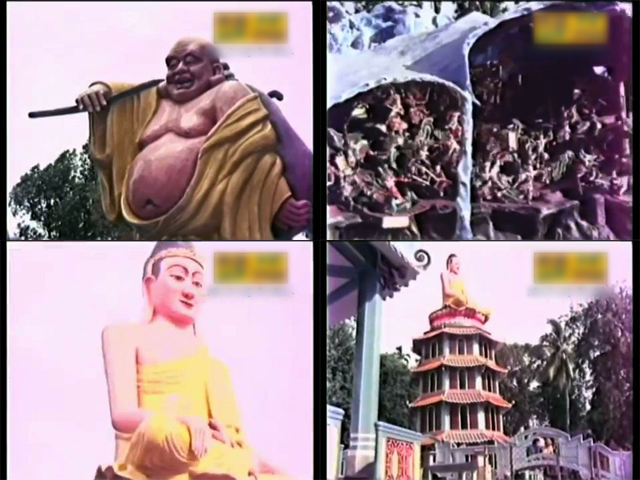 Most of the statues seen in the film still exist to this day. Upper left: Laughing Buddha. Upper right: Dioramas are aplenty in the villa. Lower left and right: Shakyamuni Buddha atop a chinese-style pagoda. 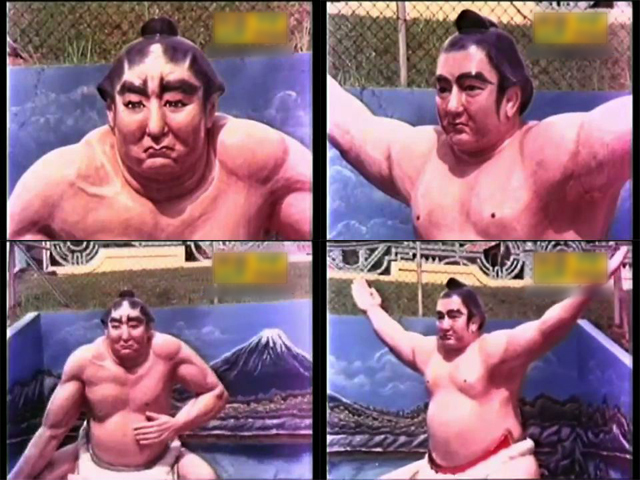 Villians in the film attempt to hide behind the statues. 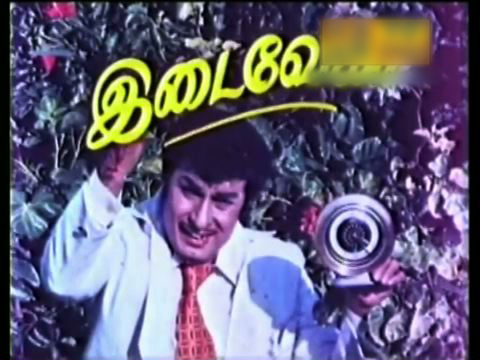 The song ends with a Bollywood actor (Nagesh) and the children incorporating the “antics” of the ape into their dance moves. I have uploaded this catchy song and dance sequence from the film onto Youtube. Watch it here. 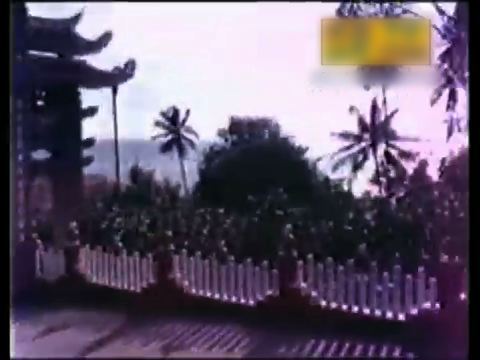 From the film, we can also tell that Haw Par Villa in 1972/73 was located just next to the sea. Before the Port of Singapore Authority (PSA) Pasir Panjong Wharves “claimed control” over the west coast of Singapore. INTERMISSION. Probably required for a three-hour long film.